Inspired by fantastical yet educational family classics by Shel Silverstein and Dr. Seuss, The Tanglelows uses vibrant graphics, elegant language, entertaining rhymes and quirky rhythms. The book journeys inside your mind to meet the creatures that tangle your thoughts, creating clutter and confusion. 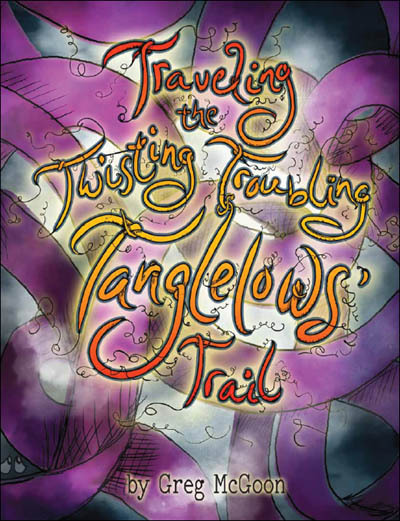 The story explores feelings of self-worth, anxiety and depression through the Tanglelows’ twisting and turning behavior. The Tanglelows serve as a tool to acknowledge feelings that may inhibit motivation, while giving kids a playful way to work through the tangles that might be blocking them from full self-expression. The Royal Heart, McGoon’s 2015 book, is a traditionally-structured fairy tale that features a transgender character and was designed to embrace the universal themes of acceptance, love and leadership. The book was named among “20 Great Gifts for Kids of All Ages” by The Advocate, called “utterly charming” by Refinery29.com and received feature coverage in Details Magazine, Metro UK and beyond. The book follows the story of Lyric, who was born male to the king and queen. But Lyric doesn’t feel like a boy and worries about ruling the land as the king his parents want him to be. In the end, family bonds triumph over doubt and together they grow stronger. And they all lived Happily, with love. The Royal Heart is the first in a collection of McGoon’s fairy tales to feature LGBT characters.